Partner tricks and Balances, we use swing dancing, sports acro and cheer skills to help the kids make friends and learn to operate as a team. Challenges and competitions, we’ve found fun ways to teach hand balancing and get the kids to increase their strength and flexibility without feeling left out. Limbo, Handstand comps, wheelbarrow races and high jump. Breaking and Popping and Locking! We are proud to have a few special guest teachers who specialise in Hip Hop Acro and Tricking! + Acro Dance and Routine Work We give the kids creative time and guidance on creating their own Acro Performances. + Professional Photos! High Quality HD photos uploaded to a Private Parent DropBox Folder, so you and your kids can treasure their Acro Memories! 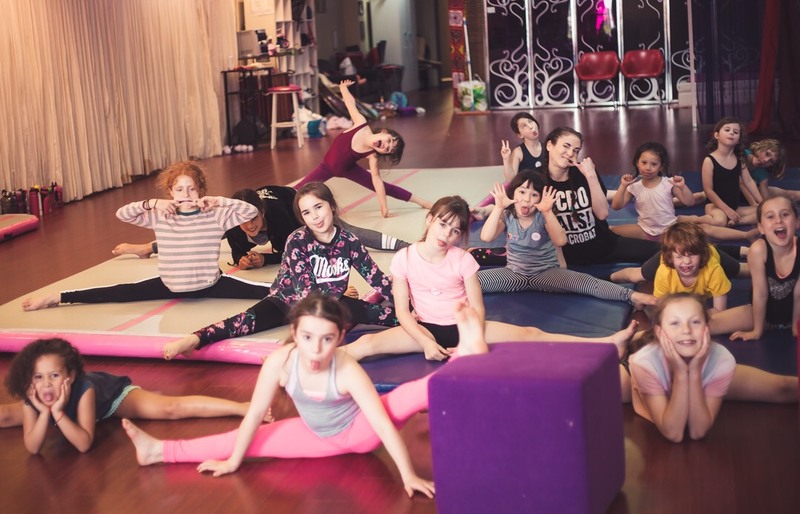 Our workshops are very well equipped with many airtracks, mats and apparatus to keep the kids safe and happy. Our workshops are well paced and we offer plenty of snack/ drink breaks throughout. ++ We provide lunch!!! +++ Healthy Sandwiches, Popcorn, Muesli Bars, Fruit and Jelly as well as plenty of awesome snacks and a couple of treats. We provide lunch!!! Healthy Sandwiches, Popcorn, Muesli Bars, Fruit and Jelly as well as plenty of awesome snacks and a couple of treats. What to Wear; Comfortable athletic clothing and a jumper in case it gets cold. We always ask for bare feet, and hair to be tied back securely. 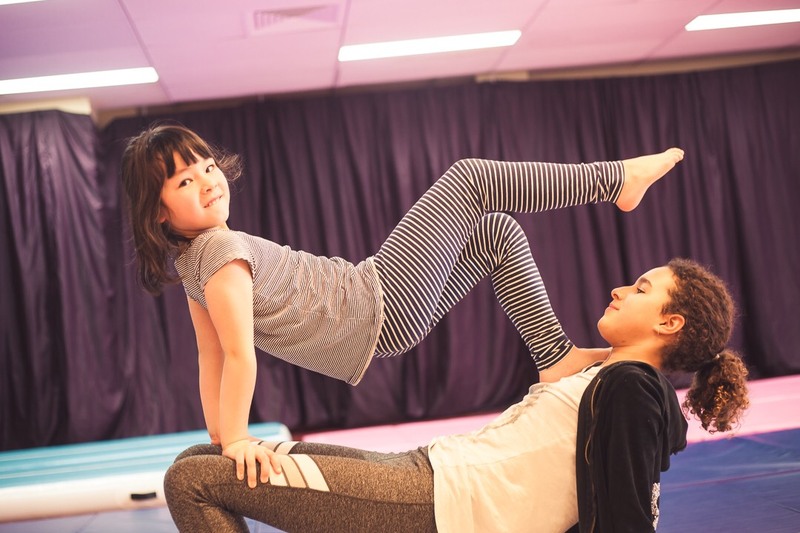 AcroPals is an Acrobatics School started by Ilyan Keay with classes in Marrickville and at schools across Sydney. 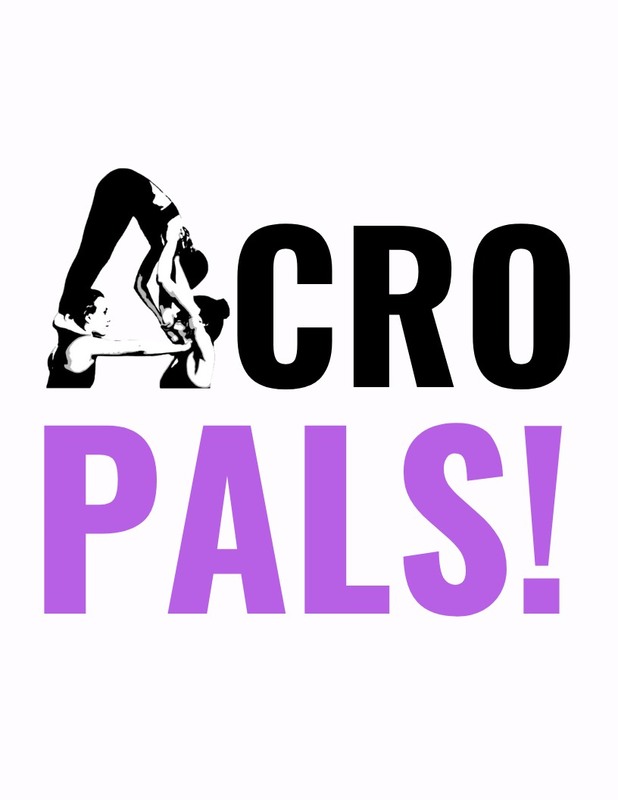 AcroPals classes are a creative combination of Air Track Tumbling, Gymnastics Skills, Sports Acrobatics, Dance Acro, Acro Yoga and Cheer. Our classes are fantastic for all levels and ages and fun for everyone regardless of experience or ability!